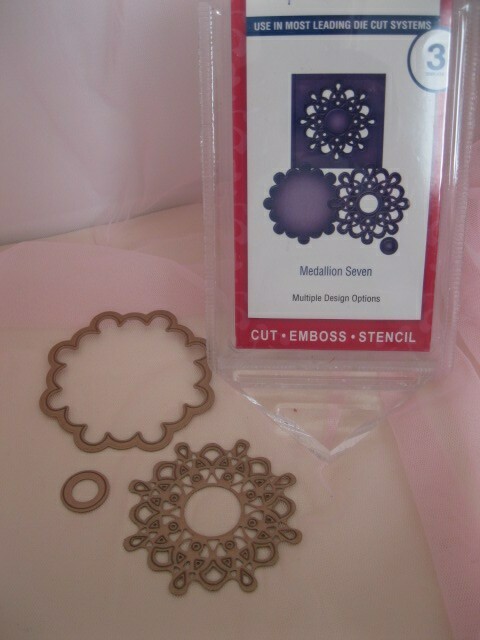 Spellbinders Medallions Tutorial will show you just some of the ways in which to use these smaller dies. 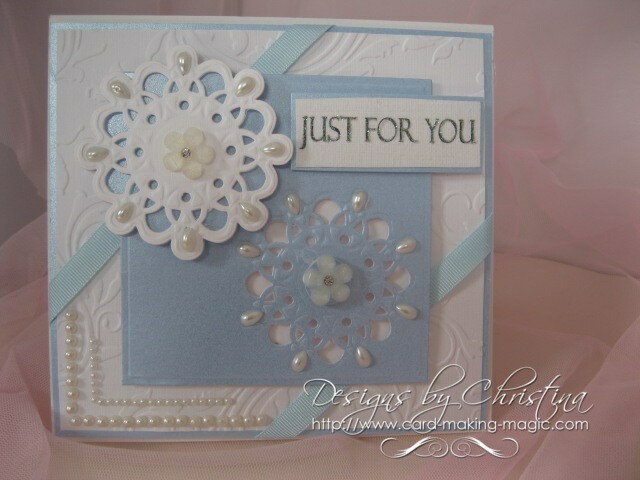 This little card has used the Medallions Seven in different ways to create this look and is the card that is created step by step in the video. I have used a pale blue Centura Pearl card from Crafters Companion and the background has been embossed with the 8 x 8 Regency Swirls folder from the same company. 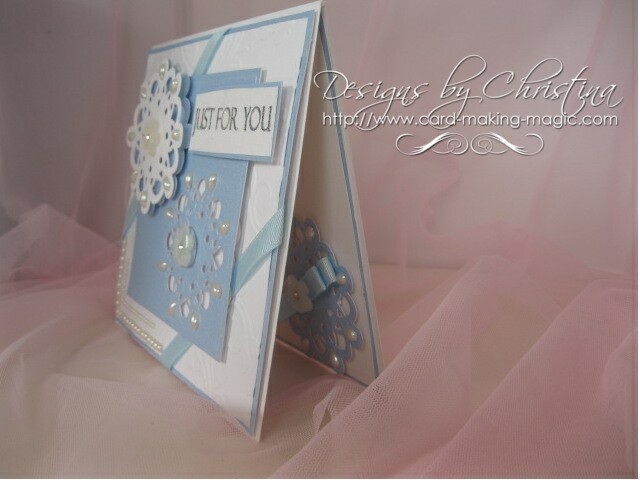 The inside has been decorated to reflect the front of the card and gives a lovely professional look to any of your cards ... especially if you are wanting to sell them. There is room inside to add a larger verse for the recipient, or simply a signature and some kisses. And don't forget to add " Handmade by ... your name" to the back of the card with a contact number if you would like repeat orders. Each Medallions set usually has two or three pieces which can be used together or individually. The larger one on its own gives a solid label that can be used to add a sentiment or small verse. 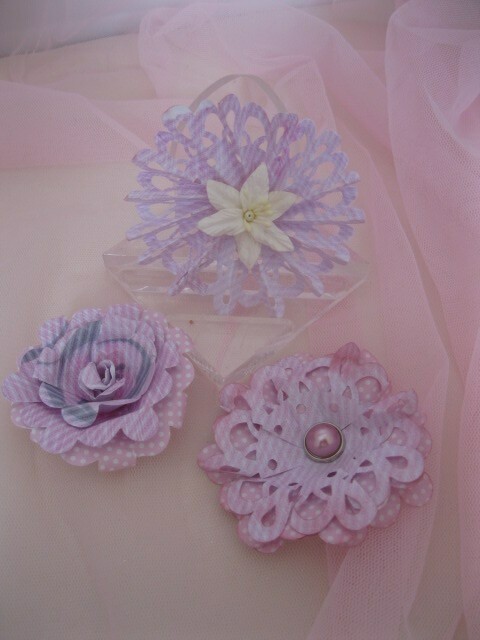 But using the two largest pieces together can make you some really pretty flowers and here you have examples of three different types. I have created a rose, another using the filigree edges and yet one more that has two layers concertinaed together. Have fun creating and see what you can come up with and don't forget to add your cards to the Gallery Page and show us all what you have designed.